The following biography is taken from "Composers Gallery - Biographical sketches of contemporary composers" by Donald Brook, published by Rockliff, Salisbury Square, London, in 1946. Note the use of the present tense, as this was written ten years before the composer's death. Early in January 1945, musical circles all over Russia celebrated the seventieth birthday of Reinhold Gliere, Chairman of the Union of Soviet composers, and one of the most influential teachers of modern times. Telegrams from all over the world, from such conductors as Stokowski and such artists as Heifetz, greeted the "Father of Soviet Composers," as he is generally known, for his great reputation as a teacher is apt to overshadow his genius as a composer. Born in Kiev in 1875, he was the son of a maker of wind instruments and became an accomplished violinist while he was still a child. His father's house was a favourite rendezvous for musicians, and the boy was never without a small but critical audience when he wished to play some of his earliest efforts at composition. When he reached the age of sixteen it was quite obvious that he would make a success of a musical career, so he went to the Kiev School of Music for three years and then entered the Moscow Conservatoire to study the violin with Sokolovsky and Grgimali, harmony with Arensky and Konius, counterpoint with Taneiev, and composition under Ippolitov-Ivanov. Gliere's earliest works were chiefly chamber music - among them we find a sextet dedicated to Taneiev - and were published under the editorship of Belyaev. These, with his First Symphony (which was later revised) and the early Romanzas reveal clearly his ties with the great traditions of Russian musical culture; they are all colourful works, emotional and profound, enriched with pleasing melodies and unconstrained rhythms. He graduated with a one act opera 'Earth and Heaven' (after Byron), and accepted a teaching post at the Gnessin School of Music in Moscow, but was unable to find time to continue creative work and it was not long before he produced his Second Symphony, which was dedicated to Koussevitsky, as well as various other orchestral works. 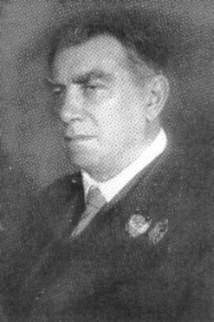 In 1907 he went to Berlin for a year to study conducting with Oscar Fried, and from that time became increasingly popular a a conductor of symphonic works. His Third Symphony, 'Ilya Murometz', was dedicated to Glazunov and first published in 1911. This monumental work earned him world-wide renown; in America it became one of the favourite items in the extensive repertoire of Leopold Stokowski. From 1913 to 1920 he was the Director of the Kiev Conservatoire, then he was inspired by the Nationalist Policy of the Soviet Government to make a prolonged study of the folklore and folk music of Azerbaijan, so that he could revive the national music of that particular republic. He moved to Baku, its capital, and from there visited a large number of the towns and villages of this state which lies on the shores of the Caspian Sea and boasts of a national art as old as tht of the Far East. Deciding to write an Azerbaijanian opera, he chose the sixteenth-century Azerbaijanian fable which told of the beautiful Shah-Senen and of her lover Ashug Kerib. Difficulties arose, however, when he tried to separate the Azerbaijanian "Mougams" (folk-tunes) from the Iranian melodies, and eventually he was obliged to use some tunes which might possibly have had Iranian origins. The opera, 'Shah Senen', was completed in 1925; the first Soviet grand opera to be heard in the theatres of the republic. It was not performed in Moscow until 1938, when it was the 'piece de resistance' at the great Festival of Azerbaijanian Art. A similar period of research in Uzbekistan produced the musical drama 'Gulsara', and some years later the opera 'Leili and Medjnum'. 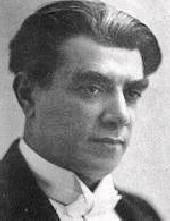 For the choreographic poem 'Zaporozhstsy', he drew upon the national music of the Ukraine; and other works of considerable importance are his ballet 'Red Poppy', the symphonic overture 'Friendship of Peoples' (written for the fifth anniversary of the Stalin Constitution), the fine opera 'Rachel' (based on Guy de Maupassant's story Mademoiselle Fifi and depicting the French people's hatred of the German invaders in the Franco-Prussian War), and the 'Triumphal Overture Victory', written in 1944 and based on Russian, English and American folksongs. Gliere has for years enjoyed the high esteem of his fellow countrymen. He holds many honours, including the title "People's Artist of the Soviet Union," The Order of the Red Banner, the Soviet Order of Merit, and so forth. The degree of Doctor of Sciences (Research in Art) was conferred upon him some years ago. He is a man of great intellect and personal charm, and is an important social figure in the greater cities of the Soviet Union. Although many of his compositions are based upon the national music of various republics of the Soviet Union, they all bear the stamp of his own particular style of craftsmanship, and their popularity in Russia is probably due to his great understanding of the people's taste in music. His work seems to lack originality when compared with some of the more progressive Soviet composers, but will for years hold the affection of the Russian people. When the musical historians of the future review the twentieth century, it will probably be found that Gliere's greatest service to his art was in his work as a teacher of composition. He has always possessed a remarkable power of drawing out the real genius in his pupils and of inspiring them with all the best traditions of Russian music. Such brilliant composers as Prokofiev, Khachaturian and Miaskovsky all studied with him.